as deals like these might be just the pot o'gold you seek! Purchase now till Friday, March 20th. 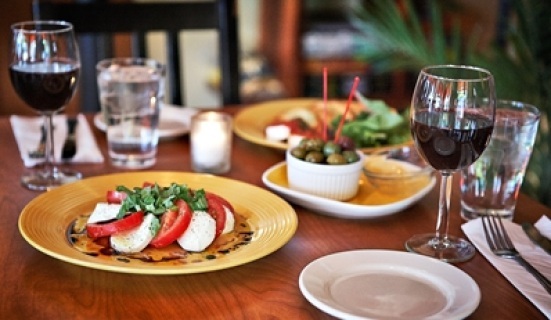 Get four "1/2 off wine bottle" vouchers for only $25! Dine-in only. Reservations required. Please mention voucher upon booking. Cannot be applied with any other offer of special. One per table. Other restrictions may apply. Tax & gratuity will be added to the pre-discounted amount. Expires April, 1 2018. ​TO PURCHASE OVER THE PHONE.